Welcome to And Sew It Is. 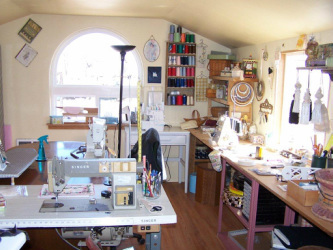 Sewing machine service, repair, custom sewing and personalized classes will be offered to make your sewing experience as satisfying as possible. Having your sewing machine in peak performance is the key to enjoying your experience. I teach begining sewing to advanced French handsewing by machine. I have been sewing since I was about 7 years old. I began really honing my sewing skills when I began making porcelain dolls about 22 years ago. I am looking forward to meeting you and your sewing needs.